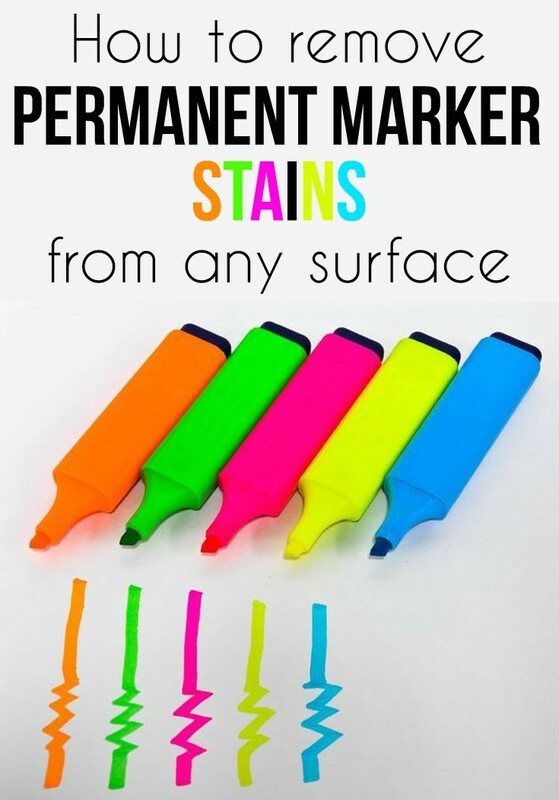 If your little ones left permanent marker traces everywhere, learn how to get rid of them with simple solutions. Although it is called permanent marker, it can be cleaned, even if it reaches the walls, the carpets, the furniture or the floors. Use rubbing alcohol, glass cleaners containing alcohol or acetone to clean marker stains that reached the sofa upholstery or clothing. You can use acetone only for whites, and for the sofa you use the fixing spray. The white walls are the children’s favorites when it comes to drawing. But maker stains, no matter how large, can be cleaned either with fixing spray or toothpaste, according to your wall color. You can also use lemon juice to buffer the drawings with a clean, preferably white cloth. If you found permanent marker stains on your furniture, use toothpaste (not gel), white rubbing alcohol and or peanut butter. Remove stains with these easy solutions until all traces disappear. It would be better to test them before on a very small area to make sure you don’t destroy their gloss or the wood’s hue. The simplest solution is to remove the stain with rubbing alcohol, but you can also use hairspray. Take care to clean the stains gradually with a small amount of alcohol. Permanent marker scribbles on glass objects and mirrors are easily cleaned with white toothpaste mixed with baking soda. Delicate surface of modern monitors, phones or tablets, can’t be easily cleaned if it was smeared with permanent marker. Try wet wipes for babies and, if you don’t succeed removing the stains, try toothpaste. But be careful! Apply a toothpaste layer over the stains and let it work for a few minutes; then wipe it gently with a soft microfiber cloth moistened with water.